You'll need to determine whether you have a gas or electric water heater because each one has its own troubleshooting steps. It can be a bit confusing to determine the type since they do look similar. These will have a gas line connected to it; this is usually a yellow tube. If you have a gas furnace, a similar supply line will be connected to your furnace. A gas water heater will have a control knob with a PILOT setting for a pilot light. It may also have warning stickers about the combustion chamber. It will have an exhaust vent on top. These are powered by electricity instead of gas. It will not have gas lines connected to it, and it will not have an exhaust vent on top. It will have an electrical cable coming into it to supply electricity. These use a heat exchanger to heat water as it moves through the unit without the need for a tank to store hot water. 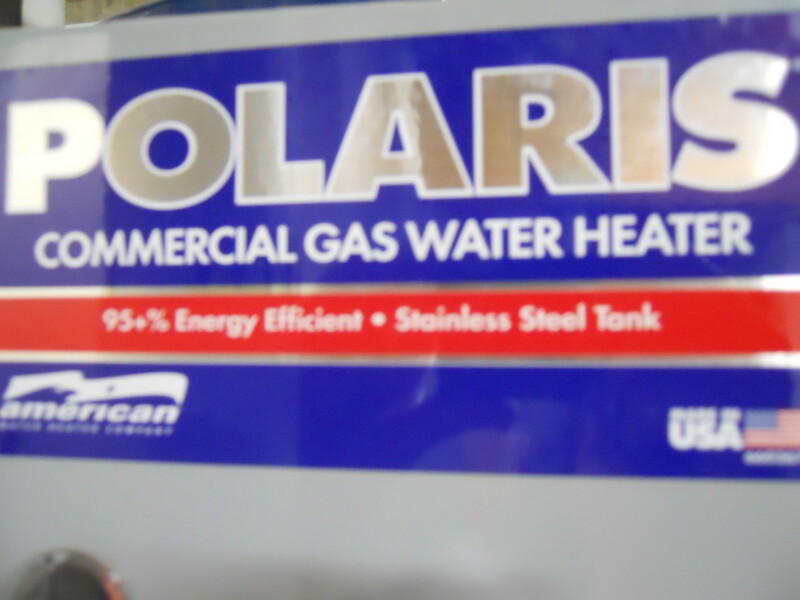 These are usually a type of gas water heater. 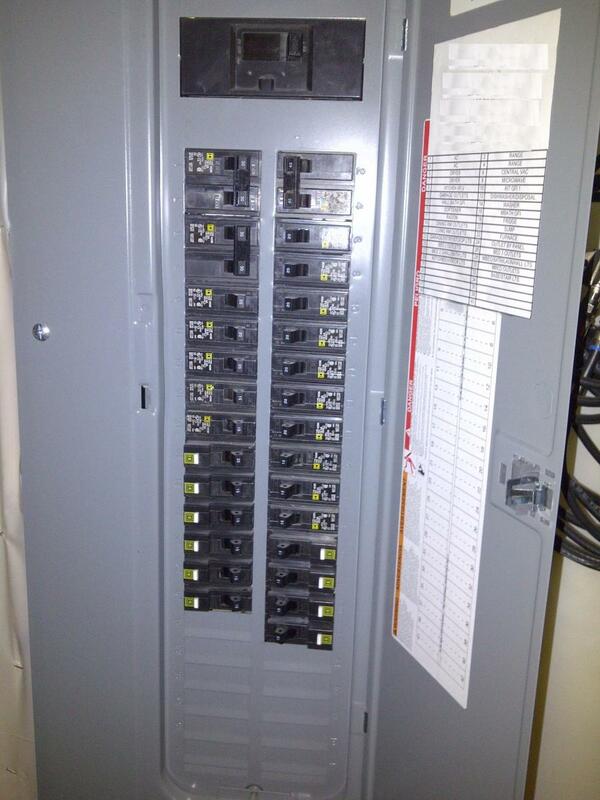 The first step is to check the breaker in the circuit panel box. You will need to locate the panel box and open the door. The breaker for the water heater will be large, likely 30A. If you're lucky, it will be labeled and easy to find. Check to see if it is tripped. The breaker switches should be firmly in the ON position. If there is a 30A breaker in the OFF position, that's probably the problem. Resetting this should restore the hot water supply. Monitor the breaker and water heater for a few days. If it trips again, you'll want to have a professional check it out. 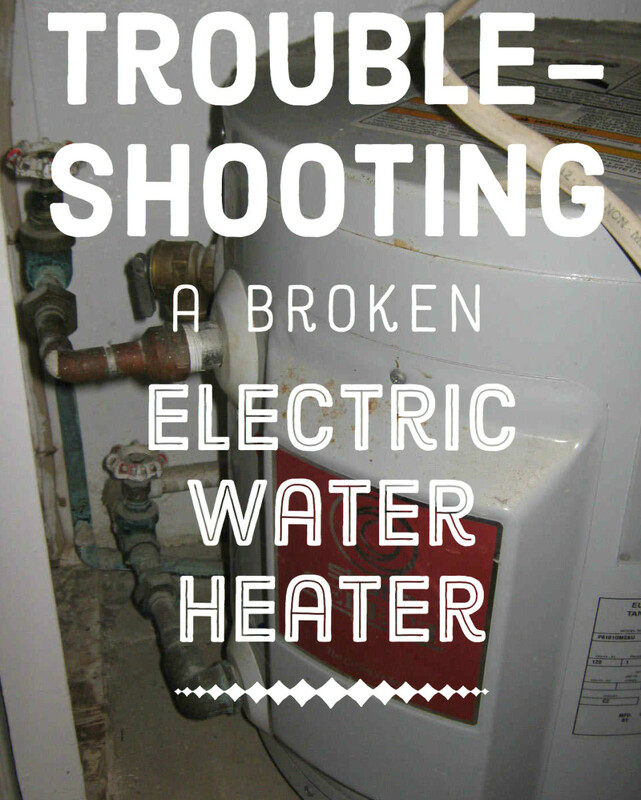 If the breaker has not tripped, the problem could be a trip switch on the water heater itself. Check the temperature control unit attached to the tank. There may be a button labeled RESET that pops out. Try pressing this button. If this button keeps tripping, it may indicate that you need to replace the heating element. Note that if the water in your tank is cold, it will take about 30 minutes to heat up after power to the water heater is restored. It is possible that it has been inadvertently shut off. Follow the gas line starting at the heating unit. You will likely find a shut-off valve in the gas line nearby. 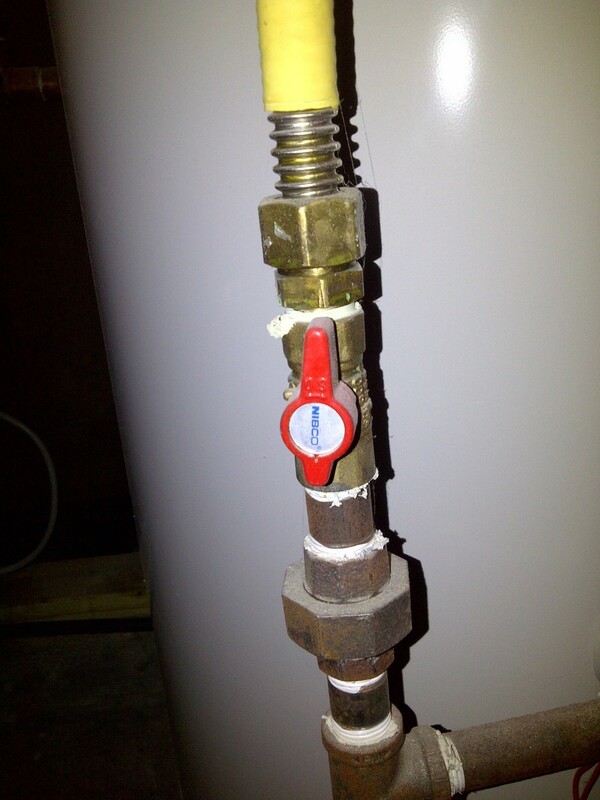 If the lever on the valve is pointing along the gas line, then the gas supply is turned ON. If the lever is turned 90 degrees to the gas line, then the gas supply is turned OFF. If the supply line is turned off, you'll need to turn it on to restore hot water. The gas utility may be shut off in your area. For example, if there is road work or construction in your neighborhood, the gas may be shut off for safety reasons. If possible, verify that another gas appliance, such as a gas oven, fireplace, or furnace in your house operates properly. 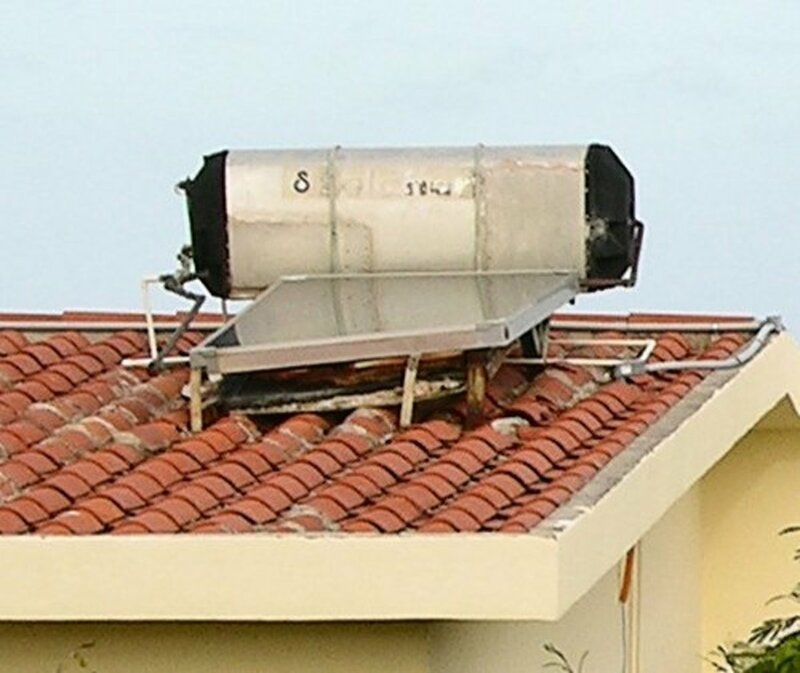 If this is not possible, try to check with a neighbor to see if they have a working gas supply. If you find that your house is not receiving gas, you will need to contact the utility company to restore gas service. Gas water heaters use a pilot light to ignite the burner. If this has gone out, the burner will not ignite, and you will be without hot water. There are likely instructions for checking and re-lighting your pilot light on the side of the water tank. This usually involves rotating the control knob to the PILOT position and then back to the ON position. Again, if the water in your tank is cold, it will take about 30 minutes to heat up after the burner starts heating the water. 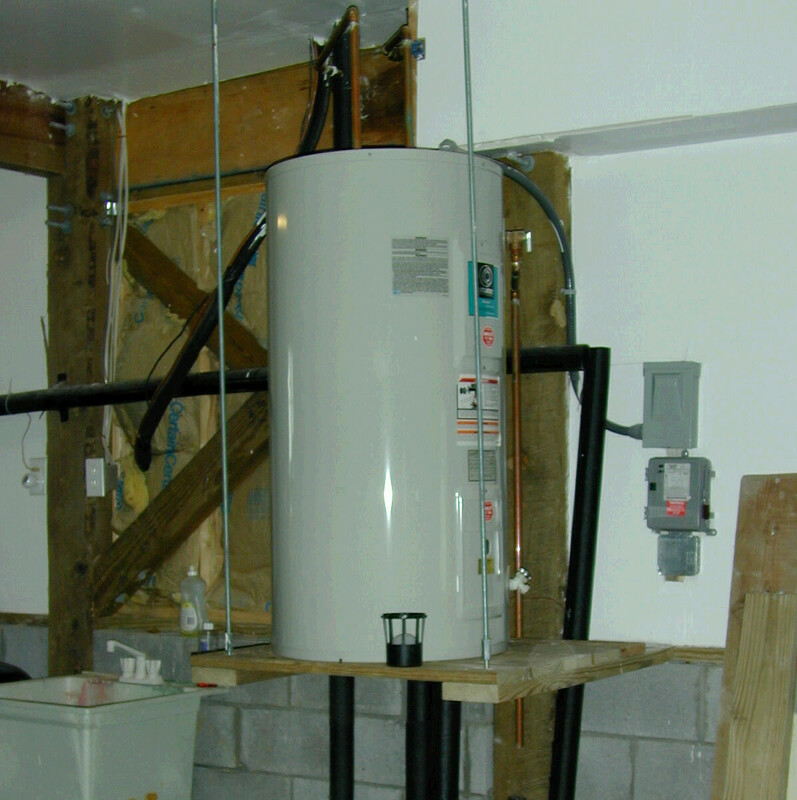 Most tankless water heaters are gas. 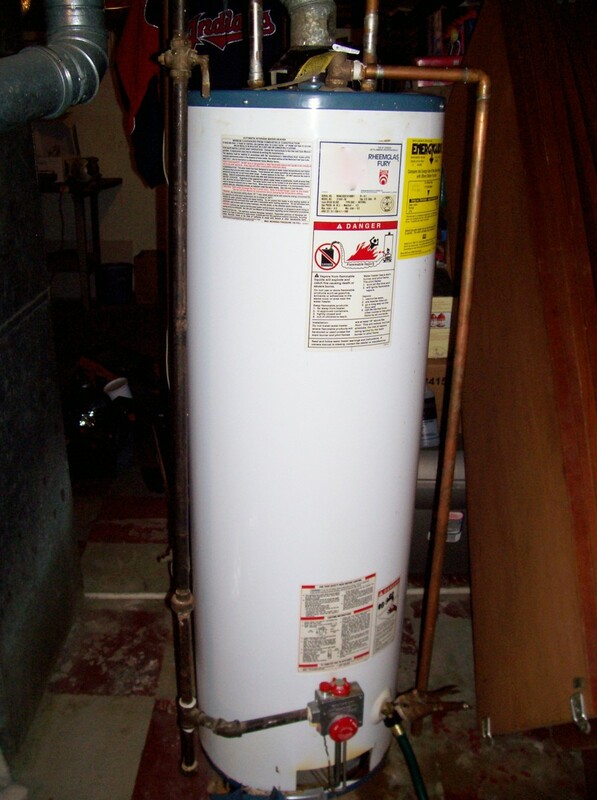 If yours is a gas unit, follow the troubleshooting steps for gas water heaters in the sections above. Since tankless water heaters produce a lot of heat quickly, the air intake and exhaust venting are critical. Check for any obstructions to the vent on the outside of the house. One time, my tankless water heater was not working. I tried to run hot water and would only get cold water. This was disappointing since my unit was fairly new. Further investigation revealed that a snow drift was blocking the vent almost completely. After clearing the vent, I was able to get hot water again. Alright nice job on this Hub! More here about water heaters than I ever thought I would know. Thanks and I hope you get lots of traffic! 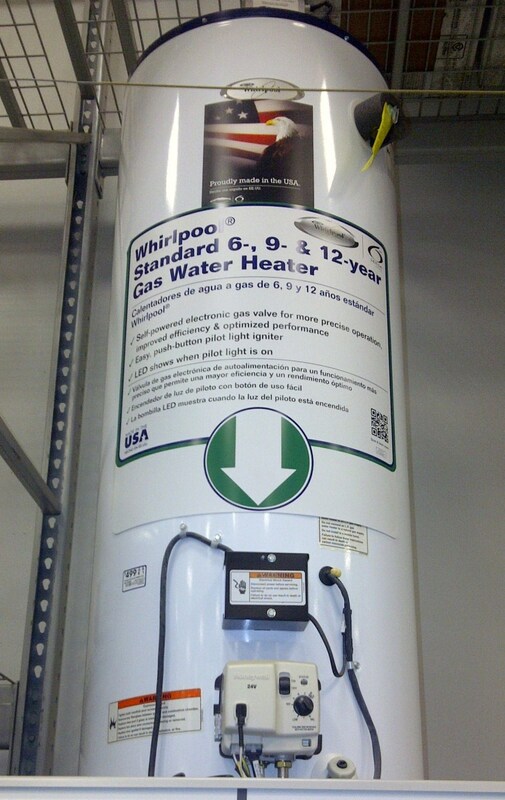 Some models of gas water heater are rated for high altitude environments. The air at high altitude contains less oxygen and this affects combustion in the burner. You need the right fuel-air mixture for optimal operation of your water heater. If you live at high altitude, I would think the local stores would carry gas models that can be adjusted for your altitude.